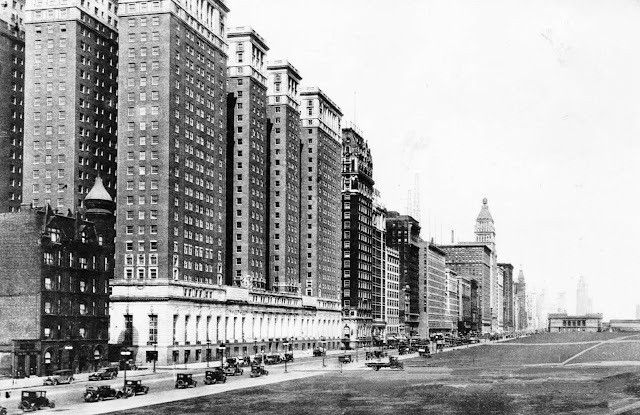 April 16, 1925 -- E. J. Stevens awards the contract for the $30,000,000 Hotel Stevens, today's Chicago Hilton and Towers on Michigan Avenue, to the Fuller Construction Company. The hotel will be the largest hotel in the world, according to Stevens. When it did open in 1927, the Holabird & Roche designed hotel had 3,000 rooms and, among other things, could produce 120 gallons of ice cream every hour. The Fuller Construction Company is an interesting footnote. 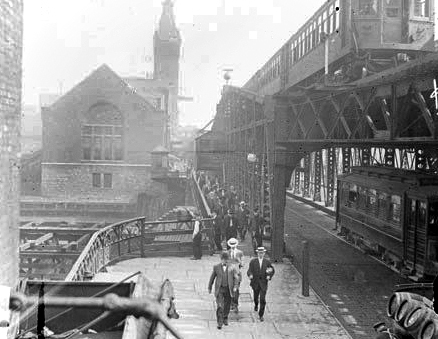 Between 1900 and 1914 the Chicago firm was responsible for the construction of over 600 buildings. Chicago's beloved Marquette, Rookery, and Monadnock buildings were all built by Fuller. So, too, was the Flatiron building off Madison Square Park in New York City. The company was dissolved in 1970, and its last building was most probably the 150 North Wacker Drive building just south of Lake Street in Chicago.